Terrestrial ecosystems take much longer to show the effects of acid rain than aquatic ecosystems. As a result, the nature and magnitude of the impact of acid precipitation on the terrestrial environment has been recognized only recently. As early as 1965, however, air pollution was known to be killing oak and pine trees on Leo Tolstoy's historic estate at Yosnaya Polyana (Goldman 1971). There is growing evidence that those areas in which the waterbodies have already succumbed to acidification must also face the effects of increasing acid stress on their forests and soils. The threat is not universally recognized, however and there remains a great deal of controversy over the amount of damage directly attributable to acid rain. Reduction in forest growth in Sweden (LaBastille 1981), physical damage to trees in West Germany (Pearce 1982b), and the death of sugar maples in Quebec and Vermont (Norton 1985) have all been blamed on the increased acidity of the precipitation in these areas. Some of the soils developed on the hill-peats of Scotland appear to have become so acid that they can longer support the acid-tolerant heather native to the area (Last 1989). Although the relationship seems obvious in many cases, the growth, development and decline of plants has always reflected the integrated effects of many variables, including site microclimatology, hydrology, land-use change, age and species competition. Acid rain has now been added to that list. Even those individuals or groups with greatest concern for the problem admit that it is next to impossible to isolate the impact of any one element from such a combination of variables (Ontario: Ministry of the Environment 1980). Thus it may not be possible to establish definitive proof of the link between acid precipitation and vegetation damage. The body of circumstantial evidence is large, however, and adverse effects have been produced in laboratory experiments. Together, these support the view that the terrestrial environment is under some threat from acid rain. 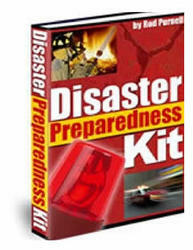 Assessment of the threat is made difficult by the complexity of the relationships in the terrestrial environment. In areas experiencing acid rain, dry and wet deposition over land is intercepted initially by the vegetation growing there. 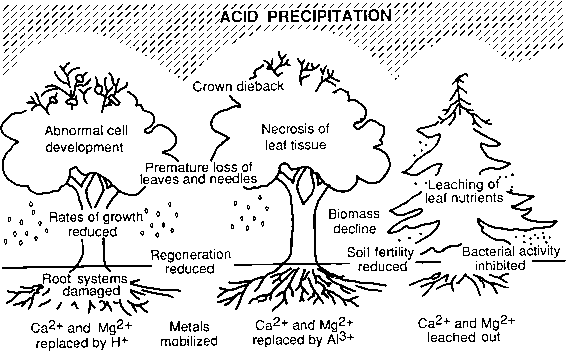 The effects of this precipitation on the plants may be direct, brought about by the presence of acid particles on the leaves, for example, or indirect, associated with changes in the soil or the biological processes controlling plant growth (see Figure 4.11). Acid precipitation intercepted by trees may promote necrosis of leaf tissue, leaching of leaf nutrients and chlorophyll degradation (Shriner & Johnston 1985), all of which cause visible damage. Vegetation growing at high altitudes, and therefore enveloped in cloud for long periods, frequently displays such symptoms, since cloud moisture is often more acidic than rain (Hendrey 1985). Ultimately, the acid particles will be washed off the vegetation and into the soil, where they can begin to affect the plants indirectly, but no less seriously. By intercepting acid deposition, plants, particularly trees, also act as concentrators. For example, dry deposition allowed to accumulate on the leaves or needles of the forest canopy, will increase the acidity of the rainfall which washes it out to the forest floor (Park 1987). Episodic increases in acidity of this nature may be likened to the spring flush in the aquatic environment, although their intensity and duration is usually less. Once the acid rain enters the soil, its impact will depend very much on the soil type and the underlying bedrock. Soils derived from granite, for example, will already be acidic, and therefore vulnerable to further increases. In contrast, soils developed over limestone, or some other calcium-rich source, will have the ability to neutralize large quantities of additional acid. Natural processes, such as the decay of organic matter or the weathering of minerals, increase the acidity of many soils, and it is often difficult to assess the contribution of acid rain to the total. Indeed, it has been argued that the addition of atmospheric acids may be relatively insignificant compared with those from in-soil processes (Krug and Frink 1983). The situation is further complicated when such soils are developed for agriculture. To maintain productivity, it is necessary to make regular applications of fertilizer and lime, which mask acidification. Acidic water interferes with soil biology and soil chemistry, disturbing nutrient cycles and causing physiological damage to plant root systems. Increased acidity inhibits the bacterial activity which is instrumental in releasing nutrients from dead or decaying animal and vegetable matter; the ability of nitrifying bacteria to fix atmospheric nitrogen may also be restricted, leading to reduced soil fertility (Ontario: Ministry of the Environment 1980). This reduction in bacterial activity, and the associated disruption of nutrient supply, may be sufficient to offset the benefits that some soils receive from acid rain in the form of extra nitrogen compounds (LaBastille 1981). Changes in soil chemistry, initiated by acid rain, also lead to nutrient depletion. In a normally fertile soil, nutrients—such as calcium, potassium and magnesium—are present in the form of positively charged microscopic particles (cations) bonded by way of their electrical charge to clay and humus particles or other soil colloids. They can be removed from there by plants, as required, and are normally replaced by additional cations released into the soil by mineral weathering (Steila 1976). As acidic solutions pass through the soil, hydrogen ions replace the basic nutrient cations, which are then leached out of the soil in solution with sulphate and nitrate anions (Fernandez 1985). Regular acid-induced leaching of this type, leads to reduced soil fertility, and consequently affects plant growth. Needle yellowing in coniferous trees, for example, has been attributed to the removal of magnesium from acidified forest soils (Ulrich 1989). The mobilization of toxic metals, such as aluminium, cadmium, zinc, mercury, lead, copper and iron, is another feature which accompanies soil acidification (Fernandez 1985). Most of these metals are derived from bedrock or soil minerals by natural weathering, but there is evidence from some areas, such as the northeastern United States, that atmospheric loading is also important (Johnson and Siccama 1983). Acid rain liberates the metals in ionic form, and they are carried in solution into groundwater, lakes and streams, or absorbed by plants (Park 1987). The detrimental effects of these toxic metals, such as aluminium, on the aquatic environment, are well-documented. Their impact on the terrestrial environment is less clear, however. Some metals, such as iron, are essential for growth, and only become toxic at higher concentrations; other metals may be present in amounts normally considered toxic, yet the vegetation is undamaged, presumably because it has adapted to the higher concentrations (Park 1987). The main claims that metals have initiated vegetation damage have come from western Germany, where high levels of aluminium in soils have been blamed, in part, for the forest decline in that area (Fernandez 1985). The aluminium restricts the development of the fine root systems of the trees to the upper part of the soil profile. If the topsoil dries out, the surviving deep roots are unable to supply enough water to meet the needs of the trees. Water stress occurs and growth rates decline (Ulrich 1989). Elsewhere, there is no clear evidence that tree growth has been impaired by toxic metal mobilization. The damage attributed to acid rain is both visible and invisible. In some cases, the impact is only apparent after detailed observation and measurement. For example, a survey of annual rings in a mixed spruce, fir and birch forest exposed to acid rain in Vermont, revealed a progressive reduction in growth rates between 1965 and 1979 (Johnson and Siccama 1983). Between 1965 and 1983, in the same general area, there was also a 25 per cent decline in the above-ground biomass of natural sugar maple forest (Norton 1985). Physical damage to the fine root systems is another element common to trees in areas subject to acid rain (Tomlinson 1985). Most of these symptoms can only be recognized following careful and systematic survey, but there are other effects which are more directly obvious, and which have received most public attention. They can be grouped together under the general term 'tree dieback', which describes the gradual wasting of the tree, inwards from the outermost tips of its branches. Dieback has been likened to the premature arrival of autumn (Norton 1985). On deciduous trees, the leaves on the outermost branches begin to turn yellow or red in mid-summer; they dry out and eventually fall, well ahead of schedule. These branches will fail to leaf-out in the spring. In succeeding years, the problem will spread from the crown until the entire tree is devoid of foliage, and takes on a skeletal appearance, even in summer (Norton 1985). Coniferous trees react in much the same way. Needles turn yellow, dry up and fall off the branches; new buds fail to open or, if they do, produce stunted and distorted growth (Park 1987). The trees gradually weaken during these changes and become more and more vulnerable to insect attack, disease and the ravages of weather, all of which contribute to their demise (Norton 1985). The maple groves of Ontario, Quebec and Vermont have been suffering progressive dieback since 1980 (Norton 1985), and it is now estimated that, in Quebec alone, more than 80 per cent of the maple stands show signs of damage (Robitaille 1986). Mortality rates for maples growing in Quebec have increased from 2 per cent per year to 16 per cent (presenting a potential $6 million loss for the province's maple sugar producers), and regeneration is well below normal (Norton 1985). There is as yet no conclusive proof that acid rain is the cause of dieback, nor that current acid rain levels are sufficient to prevent or diminish the germination and growth of maple seeds (Pitelka and Raynal 1989). Maple seedlings are sensitive to the presence of aluminium in the soil, but in most of the affected area aluminium levels are not high enough to be toxic (Thornton et al. 1986). Alternative explanations for the dieback, such as poor sugar bush management or disease—with or without a contribution from acid rain—have been put forward. However, the problem is common to both natural and managed groves, while disease usually follows rather than precedes the onset of dieback (Norton 1985). Dieback is now becoming prevalent in beech and white ash stands, but it is the damage to the maple which is causing greatest concern, particularly in Quebec, currently the source of 75 per cent of the world's supply of maple sugar (Norton 1985). Deciduous trees are not the only victims of dieback. 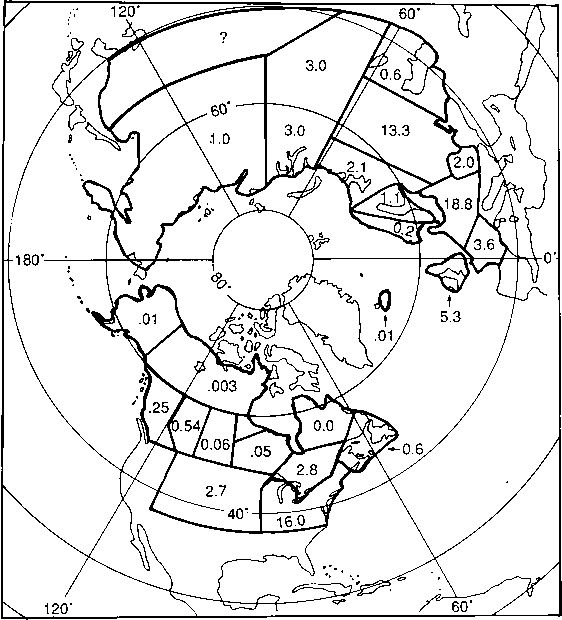 The coniferous forest of eastern North America has also suffered considerable decline (Johnson and Siccama 1983). The red spruce forests in the Adirondack, Green and White Mountains were particularly badly hit between the early 1960s and mid-1980s (Johnson et al. 1989). Since the greatest dieback occurred at higher elevations, where the trees are often enveloped in cloud for days at a time, it was hypothesized that persistent exposure to the high levels of acid common in these clouds was the main cause of the damage. Subsequent studies, however, provided no proof of a direct link between acidity and dieback in that setting (Johnson et al. 1989). There is evidence that winterkill played an important part in initiating the spruce decline (Johnson et al. 1989), and it has been suggested that exposure to acid stress caused the trees to be less capable of withstanding the extreme cold of winter (Haines and Carlson 1989). Dieback is extensive in Europe also. By the mid-1980s, the symptoms had been recognized across fifteen countries in forests covering some 70,000 sq km (Park 1991). Damage was particularly extensive in what was then West Germany, where Ulrich and his colleagues first linked it to acid rain (Ulrich et al. 1980). It was estimated that one third of the trees in that country had suffered some degree of dieback; 75 per cent of the fir trees and 41 per cent of the spruce trees in the state of Baden-Wurttemberg, which includes the Black Forest, were damaged (Anon. 1983); 1,500 hectares of forest died in Bavaria in the late 1970s and early 1980s (Pearce 1982d). For a nation which prides itself in good forest management, such figures were horrendous. The death of the forests, or Waldsterben as it has became known, was progressing at an alarming, and apparently quickening, pace in the mid-1980s (Park 1987). Some recovery took place in the German forests after 1985 (Blank et al. 1988), but by the end of the decade perhaps as many as half the trees in the country were showing signs of damage (Park 1991). Other nations in Europe are affected, from Sweden with 38 per cent of its trees damaged, to Greece with 64 per cent. As more information becomes available for eastern Europe, it is clear that forest decline is also a serious problem in the Czech and Slovak republics, eastern Germany and Poland. In contrast, Norway does not fit the pattern, despite the exposure of its forests to acid rain. Decline is not widespread, and is present even in areas where acid precipitation is minimal (Abrahamsen et al. 1989). Damage to existing trees is only part of the problem. The future of the forests is at stake also. Natural regeneration is no longer taking place in much of Central Europe, and even the planting of nursery-raised stock provides no guarantee of success (Tomlinson 1985). Developments such as these raise the spectre of the wholesale and irreversible loss of forest land. Such is the importance of the forest industry to many of the regions involved, that this would lead to massive economic disruption, and it is therefore not surprising that calls for action on acid rain from these areas became increasingly more strident—perhaps even desperate—through the 1980s (Pearce 1982b; Piette 1986). Although acid gas emissions have declined in Europe and North America in the last decade, allowing some limited recovery in a number of aquatic ecosystems (Last 1989), there is little evidence of similar improvements in terrestrial ecosystems. This may reflect the longer response time associated with the greater ecological complexity of the latter, but it may also support the claims of many scientists that there are no well-established physical links between acid rain and forest decline (Haines and Carlson 1989; Pitelka and Raynal 1989). The decline of European forests, for example, is now seen as a multifaceted problem in which acid precipitation may only be a minor contributor along with tree harvesting practices, drought and fungal attacks (Blank et al. 1988). In contrast, Ulrich—who first formulated the processes by which acid rain was thought to cause forest damage (see, for example, Ulrich 1983)—accepts the contributions of other factors, but continues to claim that they only come into play fully once soil acidification has made the forest vulnerable (Hauhs and Ulrich 1989). Until these differences are resolved, and the role of acid rain is better understood there is no guarantee that the greater control of acid emissions will have the desired effect of saving the forests. What are some environmental effects of acid rain? Is there a connection between acid rain and global warming? How does acid rain affect germination? Is forest a terrestrail issue? How does global warming affect the terrestrial environment? What are some environmental issues that the United States has with acid rain? What disruption leads to acid rain? How much forest baden wurttemberg forest acid precipitation? What are 4 terrestrial environments of deposition? How does acid rain affect plants' leaves? How acid rain effects on our environment? How acid rain affects soil? How can acid rain affect the rainforest? How does acid rain affect terrestrial environments? How does acid rain affect terrestrial enviornments? How does acid rain negativley affect terrestrial enviroments? How does the terrestial formation affect the economy? How does acid rain affect terrestial environment? Why is acid rain damaging to terrestial system? How does acid rain affect the terestrial? How does acid rain impact the terrestrial ecosystem? How does acid rain affect terrestrial environment? How does acid rain effect terrestrial envirements? How does acid rain effect terrestrial environment? How does acid rain affect terrestrial envirnoments? What is the effect of acid rain in terrestrial ecosystem? How can acid rain impact the environment including terrestrial and aquatic ecosystems? How does acid rain impact the environment and terrestrial and aquatic ecosystem? How does acid rain damage aquatic and terrestrial ecosystem? What Effect Does Acid Rain Do Cause On Terrestial And Aquatic Habitat? How terrestrial ecosystem is effected by biohazarda? How can acid rain impact the environment including terrestrial and aquatic ecosystem? How acidic conditions affect terrestrial and aquatic environment? What are the primary effects of acid rain on terrestrial and aquatic ecosystems?